Diamond Spas believes that stainless steel is the ideal material for a spa. When compared to traditional materials, this metal is more sustainable, durable and sanitary. Plus it has a luxurious appearance that can't be matched. 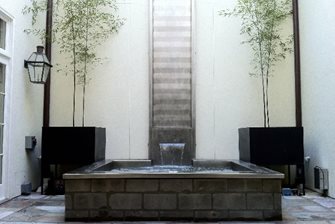 A stainless steel spa can be integrated into the ground and completed with masonry or woodwork. 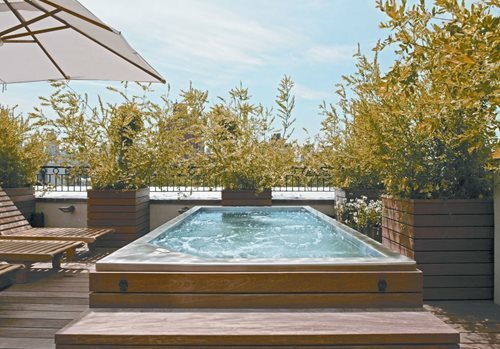 Diamond Spas are also excellent for above-ground applications such as on rooftops or in gardens with difficult terrain. Since they are a custom product, the feature options for a Diamond Spa are nearly unlimited. They run on an ultraviolet sanitation system that is far superior to chlorine. Plus you can choose from a variety of hydrotherapy jets, wells and special seating. LED lighting and an automatic cover can also be incorporated into the design. Stainless steel isn't only for the kitchen. It can be used outdoors too, as seen here with Diamond Spas. 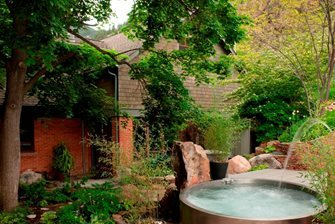 If you want a truly unique place to relax in your own yard, a Diamond Spa fits the bill.